The cover that was keeping the Austin Chalk quiet has been blown off. The play spanning across most of central Louisiana, stretching from Lake Pontchartrain to the Texas border, is getting a lot of attention. 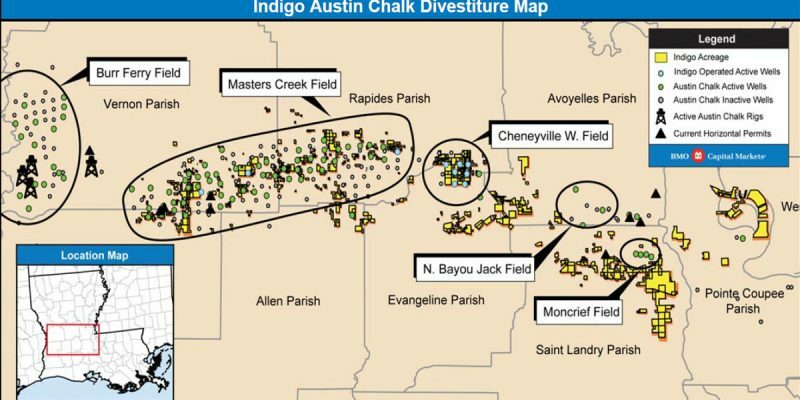 At first it was a few undisclosed investor’s drilling test wells; now companies like Marathon Oil, ConocoPhillips, PetroQuest Energy, EOG Resources, and BlackBrush Oil & Gas have all jumped in to see what can be made of the Austin Chalk. This increase in interest fits the narrative of what’s happening across the United States in regards to the oil and gas industry. We are experiencing an uptick in oil prices, America is taking claim of more global market share due to shale production, and our nation has an uptick in rig activity. In what has become the norm in Louisiana, we fall well below that national increase in rig activity. New activity in the Austin Chalk would give Louisiana a fighting chance to change the narrative, but unfortunately, we continue to shoot ourselves in the foot. As a new opportunity develops, it is important to create a regulatory environment that welcomes investment; unfortunately a recent decision made by the Office of Mineral resources has moved our state away from the free market and into an area of growing regulation. The State Mineral Board is responsible for managing the state’s minerals and lands and from time to time, putting those minerals up for lease. The process for the leasing of the minerals traditionally involves companies making blind bids that include mineral bonuses they would like to offer for the lease and a royalty percentage they are willing to pay the state for the minerals produced. The bonus and royalty that would be paid to the state is in addition to the severance that is owed to the state on all minerals produced in Louisiana. On occasion, particularly on lands that are managed by the Department of Wildlife of Fisheries, certain minimums on royalty and bonuses are used; however, it is far from common practice. The challenge that minimum bids bring is that it completely upsets the free-market by essentially establishing a floor for surrounding, non-state leases in the area. In the event of minimums being used on an entire play, such as the Austin Chalk or Haynesville Shale, millions of acres could be affected just by setting a minimum on a few hundred acres. The State Mineral Board in a recent lease sale has unfortunately, taken this very action. They decided to set a minimum on the leases in the Austin Chalk and have abandoned the free-market bid approach that is has embraced for so long. The impact of such a decision will take some time to spread across the play, but continued reliance on minimum bids and a movement away from the free market will only hasten the damage that could be done. Higher leases mean less investment and less investment means less payments to individuals, local government, and the state. The movement of any government body to replace the rule of the free market with the rule of bureaucracy, is a move that the governed are sure to lose. No person has explained this better than the great Ronald Reagan when he said, “The most terrifying words in the English language are: I’m from the government and I’m here to help.” The oil and gas industry continues to be a resilient and beneficial industry partner for Louisiana. In order to realize its full economic potential, there must be a regulatory, judicial, and fiscal environment that allows the hardworking men and women of the oil and gas sector to succeed. Interested in more news from Texas or news in Louisiana?